Stop water damage before it starts with basement waterproofing by Gambrick. 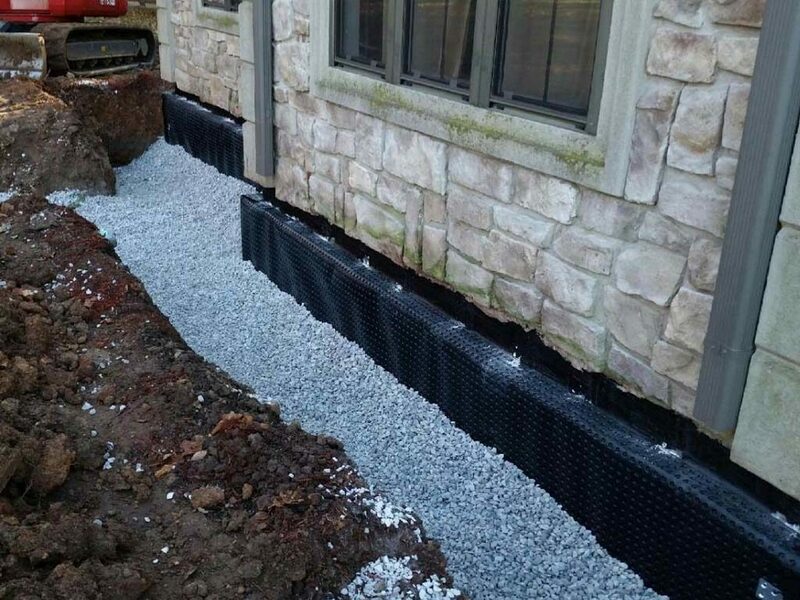 Our waterproofing experts have over 50 years of experience providing effective solutions for New Jersey homeowners. We find the root of the problem. Our licensed experts perform a thorough inspection and determine what is causing your moisture problems. Create a plan. We engineer a customized waterproofing plan for your wet basement based on your budget and needs. Give you permanent solutions. Guaranteed waterproofing solutions that will stand up to the strongest storms year-round. Gambrick helps protect your home from any foreseeable water damage. Keep you and your family stay safe and dry. Protect your basement from moisture damage with our permanent waterproofing solutions. Call 1-732-892-1386 today to set up a FREE in-home estimate. Our experts will evaluate your current water damage risk and recommend ideal solutions. Water damage affects almost 85% of all homes. This basement water is a common problem for poured concrete and block basements as well as crawl spaces. Sealing out water from your home, with quality basement waterproofing products, will allow you to utilize every square inch of potential living space and keep your home structurally sound for years to come. Basement waterproofing also helps to eliminate mold and water damage to your basement. Most new homes built in New Jersey have little to no exterior water proofing system other than a thin coat of tar or plaster. Homes are generally built with no french drain, sump pump, or quality foundation sealant. The most common mistake are gutter too close to the home dumping gallons of water right next to a foundation that isn’t sealed properly. We can easily fix all that. With crack sealing procedures and foundation repair, these methods effectively keep water out of your home. Open interior basement systems cause humidity and radon problems in many basements across the country. To prevent these issues, we install high-quality closed interior drainage systems. Sealed interior drainage systems are a combination of a sealed sump pit and a sealed drain tile system that locks moisture and soil gases below the basement floor. We even offer free waterproofing estimates to ensure that you get the best solution for your home. Interior french drains are also a common remedy as well as dry locking basement walls. Moisture problems in existing basements are very common, but often are not understood or properly treated. In addition, basements are increasingly used as finished living spaces. 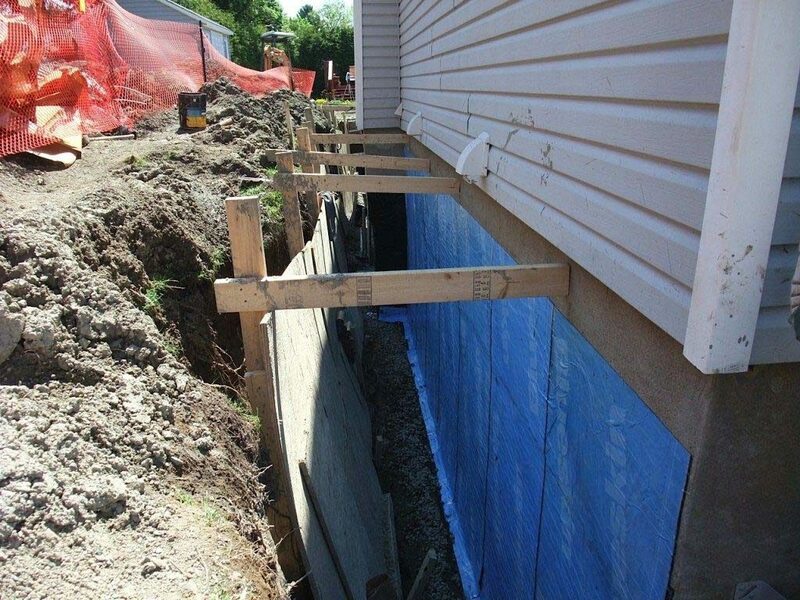 In these cases, moisture problems do not only result in foundation leaks, but can lead to significant health problems. Molds and mildew can grow in damp carpets and beneath wall coverings. Finishing a basement without first dealing with the moisture problems can result in making health conditions worse and lead to significant damage as well. A sealed interior basement waterproofing system, installed by a professional waterproofing contractor, can keep the moisture and soil gases from circulating throughout your home. A perforated drain pipe installed near the footing is the most effective interior drainage systems. Not only are these the most popular, they’re also building code approved when installed and sealed correctly. This requires removing and replacing concrete around the slab edge. By placing the drain pipe beneath the slab, it drains the area to a lower level. Similar to an exterior system, this drainage pipe connects to a sump pump. The sump basin should have a sealed, airtight, childproof cover. A critical component of this approach is the dimpled plastic sheeting placed at the base of the wall and beneath the slab edge. Dimpled sheeting is similar to a small egg crate and permits free drainage at the base of the wall into the drain pipe. It is less expensive than many specialized drainage systems and very effective. A drain channel adhered at the base of the wall, on top of the footing is the simplest and least costly approach to interior drainage. The sump pit should have an airtight, childproof cover. These types of systems do not solve the problem in masonry walls because water remains in the block cores at floor level and the water level is only lowered to the top of the slab. With this approach, the water is not completely removed from the space. The result is that humidity, mold, radon and mildew can still be a problem. This system also cannot drain groundwater from under the floor slab, you need a sealed below slab drainage system. For all of your basement waterproofing needs in Ocean and Monmouth County NJ and the surrounding areas, contact the experts at Gambrick today! Once the construction contract has been presented and signed and the clearly defined payment schedule communicated we get started. Our team will treat your home with the personal attention and respect it deserves throughout the construction process. You’ll enjoy working with our design team in making product selections and seeing your new space take shape. You will continue to be an integral part of this phase, providing input as needed for decisions on selections. Gambrick are the top custom builders at the Jersey Shore. No need to worry, if you can dream it up we can build it. As a top rated Custom New Home Builders in NJ for over 40 years we have the experience and expertise to handle any problem you have, not just your basement waterproofing. We’ve built and renovated / repaired hundreds of custom new homes at the Jersey Shore.